Wanna be able to get 10 media buying tips that’ll help you succeed in affiliate marketing? Read this article, then! Tip #4 – Optimize Your Banners! Affiliate marketing is hard, tough, and can really bring our hopes down to the unforgiving floor! In fact, as affiliate marketers, you guys have already been able to figure out that your ability to make successive mistakes and fall prey to flaws and errors is just too obvious. This Mobidea Academy article is here to rescue you from your own self, allowing you to read 10 media buying tips that are sure to save you from making silly mistakes that can really make you feel like an affiliate marketing zero! In this cool post, you’ll understand how important it is to start slow and read as much as possible about the business before making your move. You’ll also get some tips about banners, GEOs, and the relative importance of a payout when it comes to the decision of where to invest! By the end of this article, you’ll be ready to use a whole arsenal of affiliate marketing info, enter the online advertising arena, and beat the competition senseless! 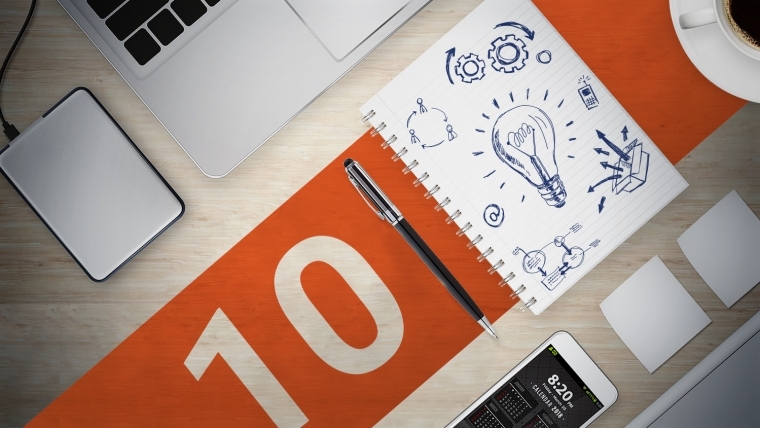 Here are the 10 main media buying tips to skyrocket your campaigns! This is a super important tip and a media buying 101! Don’t try to be in every single GEO, exploring all the verticals the market has to offer, or even talking to account managers about 872156732 investments at once. You’ve gotta have some focus as an online media buyer and avoid that feeling that all newbies have; that overwhelming sensation that tells them they must invest everywhere at the same time and make money faster than it’s even possible. You’ve gotta start from the beginning! You must become a member of an affiliate program, learn to be well-acquainted with all its features, talk to account managers about the best verticals, and then pick carefully and wisely, to make sure you don’t embrace the whole world at once. Focus, study, and then invest in an offer, optimize intelligently, and BAM! That’s how you grow steadily, becoming an affiliate who rises surely and smartly to the top, without being a shining star that bursts into flames too soon! I see them all the time: a bunch of snobby young affiliates who think they know it all but have no clue of the media buying process. They’ve read a couple of forum threads – most of them written by inexperienced numbskulls – and they think they’ve got ALL THE INFO they need to succeed. When you decide to be an affiliate marketer, you must understand that this is hard work. This isn’t a kid’s game. It’s about money, analyzing data with brains, making the right decisions under intense pressure, and then scaling up like a true pro! This means it’s not about grabbing some empty notions of the business and going for it like a missile without direction: you MUST know it like it’s part of your being’s each and every fiber! My professional and super cool advice? These posts are written by Mobidea Experts, Industry Gurus and Affiliate Marketing Pros. These people have years of experience in the biz. They’ve seen the ups and downs, know how to analyze data and perform the best optimizations worldwide, know how many banners to test, how frequently to make changes, etc. This group of hyper-skillful brothers and sisters is really gonna help you reach for the stars. From banner optimization, to how to create whitelists for your campaigns, to the best case studies, these articles were created with one single purpose: to turn you guys into professional internet marketers, capable of conquering the world. You should also be in CONSTANT contact with your Account Manager. These guys are part of an affiliate network and their job is to make sure you earn money. Trust their expert, experienced advice and be ready to learn from their inputs! At times, you may fail to understand why your campaign is losing money. In fact, you can’t really figure out which aspect is ruining your chances of profitable excitement. That’s when you can really use an Account Manager. This person is gonna analyze your traffic thoroughly and come up with remarkably detailed conclusions that’ll enlighten you. Got any doubts about a certain GEO? Think you don’t know why Carrier Traffic is not yielding any dough? An Account Manger was born somewhere and they’re ready to help you figure these things out and give you some wicked media buying tips to boot! Now that’s an important part of your media buyer education! Never go nuts over optimization! Why? Because – at the beginning of a campaign’s launch – it’s only natural that it’s not gonna be hyper profitable. You’ll be disheartened, seeing money drain faster than water. What is your feeble mind gonna tell you to do? Start changing a whole lotta stuff about your campaign, such as GEO, Operator, Operating Systems, Capping, whatever! Changing things in a campaign in a vain attempt to figure out what’s wrong is bull-headed and simply insane. You must understand that campaigns must run some time because their goal is to give you awesome stats to analyze. This means that – before a certain amount of time has come to pass – changing things on your campaign is gonna be a careless endeavor that’s ultimately gonna cost you some dear money. Breathe. Calm down. Let time pass. Then what? From that bulk of saucy data that you’ve been able to get, it’s time for you to come up with conclusions. That’s when you optimize, taking irrelevant devices out of the way, or calibrating capping, or even changing an increasingly dull banner. You’ve gotta understand that this game can’t be rushed. You need to take your time, gather stats, analyze the campaign and only then decide what to do. Acting too quickly is a HUGE MISTAKE so my tip is to assess the traffic’s behavior. If you don’t, you may be risking creating some misguided changes without taking delayed conversions, or low-performance hours into account, for example. Banners are like Risotto: everyone is confident, thinking it’s gonna be a perfectly delicious meal but they forget how tough it really is to get one right! Banners are complicated, demand a whole lotta expertise and can really mess things up for you. Most importantly, affiliates feel like they can’t decide how many banners to test in one given campaign. I’ve met crazy clients who wanted to test up to 20 banners per campaign, which would mean it’d be impossible to ascertain why banner 15 had a better Conversion Rate than banner 18, for example! So you’ve created a cool group of flashy images, packing some seriously enticing Calls-to Action. What is the number of banners I should test? The number of banners you should test is between 3-5 per campaign. In case you opt to use a lower number of banners, you’ll simply fail to compare the performances of each one. On the other hand, if you’re foolish enough to use more than 5, you’ll have to really spend a whole lotta cash and time just to be able to get worthy statistical data which can be later used to analyze your performance. Got it? 3 to 5! That’s the lucky charm, guys! As an online media buyer, I see this one happen all the time. This tip is for all of you who’ve made this unbelievable mess! Some people treat campaigns like a casserole: they insert all the different traffic types in a smorgasbord tupperware, hoping one of them is gonna be worthy of attention. These guys really think that – the higher the volumes – the more dough they’re gonna be able to get. Never mix mobile and desktop traffic. Since their traits are insidiously different, it’d be a huge, awfully dumb mistake to mix these two! You’ve gotta understand the bids will be different, the angles needed for creatives will be different, even the conversion ratio will be different. What else shouldn’t I mix, oh Affiliate Master? Easy: don’t mix Wi-Fi and Carrier traffic. If you do, you can be murdering a campaign which could potentially be profitable. Learn to create different campaigns bearing these differences in mind. Don’t feel like doing it? Prefer throwing all the food in the same frying pan? Then you’ll be laughed out of the affiliate marketing stage! People make premature decisions all the time. They don’t spend enough time thinking about the possible outcomes, they take the wrong turns, and then they wonder how the car went down that hellish ravine. How to avoid making rash decisions like a little dweeb filled with miserable measles? What happens if you don’t have enough reliable data to effectively conclude a certain parameter is bad (or good)? Don’t add, don’t cut, and don’t make a move in this business unless you’ve got ALL THE INFO you need on your side! This is media buying 101, even though some people make the awful mistake of doing this all the time. They launch a campaign and, without any consistent data to speak of, these inferior beings decide to cut parameters here and there like a freaking blood-thirsty samurai! Leave that campaign running some more! Give it some time! You’ll probably be spending your budget for some more time, which will give you a more coherent and valuable idea of what to do. Information, analysis, time, and decision-making. This is what you must understand to succeed in the game! Another important factor that I know eagerly young media buyers forget: correlations. The data you check is correlated. Yes, all the parameters. This means that a lousy performance for a website, for example, can be caused by a poor performance of a device that has converted on that particular website. Here’s the bottom line: never cut everything at once, since you must pay attention to those correlations! First, cut the most fundamental parameters. Then you’re gonna wait, so that you can check the results of your intelligent decision. Only in that sweet moment should you ponder upon cutting some parts of the campaign, adjust crucial parameters, and get it all running like a Ford Grand Torino! Tracking is one of the most important things in affiliate marketing. As you may have noticed by now, optimizing traffic is super analytical which means you’ve gotta base you decisions on hyper-detailed information. Trust me: there are no media buyers who’ve made it using their poetic inspiration or organic intuition. In fact, it’s all about analysis and then acting upon the info you get from that thorough study time! You’ve probably been able to understand that your traffic source has managed to give you optimization info. But be careful: the information you’ve received is going to be different for each single traffic source. Plus: an affiliate tracking software is gonna offer you many more possibilities! Indeed, you can get specific in this arena! You can get stats per specific GEO, Carrier, Ad Network, Banners, Sites, and a whole lot more. Information is the name of the game! Make sure your tracks have got as much info as humanly possible. You should remember that a tracker gives you a great opportunity to perform split testing for your campaign. This means you can actually pick different paths to send your user to. Let’s say you wanted to figure out which landing page converts best. Just come up with page variations containing the relevant differences and then set the percentage of traffic going to each of those to perform a split. With the aid of a tracker, you’ll become able to understand which one managed to get the best conversion rate. The tracking solution also happens to let you test a bunch of diverse offers inside a single campaign. Based on statistical data, you can see which offer performs best, and then just focus on that one! Use an affiliate tracker like the one provided by Mobidea. You wanna be sure you’re getting what you paid for. This is a cool trick of the media buying process. Be like a secret agent to really master your media buyer education! Looking at what the competition is doing is simply IMPOSSIBLE to neglect! By checking what others are doing, you’ll be able to create a strategy, ultimately becoming more profitable than your competitors. AdPlexity (25% Lifetime Discount) is one of the best ad spy tools around. How are affiliates running on a given site? What are affiliates running on a given site? There are a whole lotta them out there which means you can spy on your enemies without having to get a super costly ad spy tool! It’s true: higher payouts don’t necessarily mean that you’ve found a well-hidden treasure chest! Imagine you log into your account. Now that’s not very clever. You should never assume something just by looking at the payout. High payouts don’t immediately mean you’re gonna get a lot of money. Why? Because those super-appealing payouts are for offers that belong to countries which are part of the top tier. This basically means that traffic from those nations is gonna be costlier. The impression is more valuable, therefore it costs more, which means the payout is gonna be higher too. Why shouldn’t you promote these offers? Because – as I’ll remind you – you’ve gotta take BABY STEPS! Take things slowly as you start your media buying experience. When you create a campaign in high-payout countries, you’ll be entering a vortex of difficult decisions. This really is something that’s more in tune with the behavior of more experienced Media Buyers. As I’ve mentioned to you before, the problem with these high-profile offers is that each impression is more expensive. If you don’t target with the ultimate precision or fail to find the best niche to go for, you’ll be wasting lots of cash. Tip: you should start by playing with lower payout offers. You should definitely go for countries where traffic is not as expensive as in the top tier nations. At times, lower payouts per lead can ultimately result in more conversions, which means you can have a more profitable media buying campaign. The payout ain’t the best metric at all. The EPC and the eCPM are the best metrics, because they take both the payout and conversion rate into account! When it comes to bids in Media Buying, you can opt for either a fixed or a Smartbid system. A smart-bidding system helps you save your sweet cash while still making sure that you remain competitive. This system allows you to play with the same traffic as you’d have while using a fixed bidding system. The difference? You’re gonna spend less money doing it! This added money can help you figure out how you’re performing compared to your competition. Moreover, you can get to know the amount of dough being paid by the guy sitting on the 1st position’s royal throne. This can be adroitly used to fully mess with your enemies. You can make those nasty guys pay more than they’re willing to do! Smart, ain’t it? Well, it’s called SmartBid for a reason! ExoClick is one of the ad networks that’s got this wicked Smartbid system. This world is tough as it is. You don’t need to be running around looking for shady content in mushroom-popping forums like a madman when you can get easy access to the Mobidea Academy! Today, I’ve been able to give you 10 cool media buying tips that’ll help you to effectively increase revenues without making silly errors that could jeopardize your path. Hope I’ve been able to help!